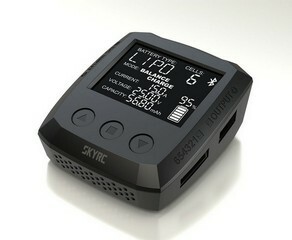 SkyRC S65 is a powerful charger with battery management, suitable for use with all common battery types such as LiPo, LiHV, Lilon, LiFe, NiCd, NiMH, PB and AGM. 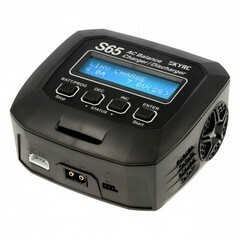 The SkyRC S65 charger provides a remarkable 65Watt charging power in a compact housing design. 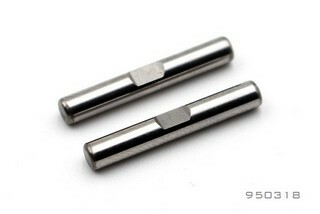 At the front there is a built-in XT60 plug to which you can simply connect your battery or charging cable and avoid the possibilities of reverse polarity. As a special feature, AGM batteries can be charged and PB batteries can also be gently charged at very low temperatures. The display now shows the battery voltage extended to 3 decimal places.